A review and update of a controversial 20-year-old theory of consciousness published in Elsevier’s Physics of Life Reviews (open access) claims that consciousness derives from deeper-level, finer-scale activities inside brain neurons. The recent discovery of quantum vibrations in microtubules inside brain neurons corroborates this theory, according to review authors Stuart Hameroff and Sir Roger Penrose. They suggest that EEG rhythms (brain waves) also derive from deeper level microtubule vibrations, and that from a practical standpoint, treating brain microtubule vibrations could benefit a host of mental, neurological, and cognitive conditions. 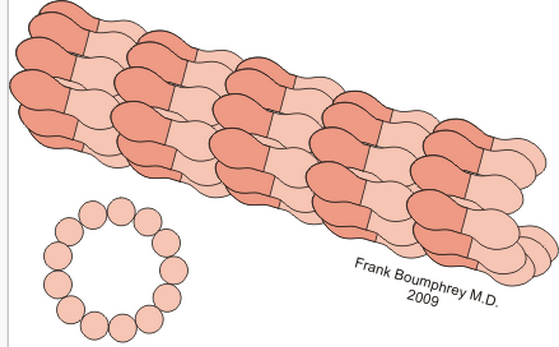 Microtubules are major components of the structural skeleton of cells. The theory, called “orchestrated objective reduction” (“Orch OR”), was first put forward in the mid-1990s by eminent mathematical physicist Sir Roger Penrose, FRS, Mathematical Institute and Wadham College, University of Oxford, and prominent anesthesiologist Stuart Hameroff, MD, Anesthesiology, Psychology and Center for Consciousness Studies, The University of Arizona, Tucson. Orch OR was harshly criticized from its inception, as the brain was considered too “warm, wet, and noisy” for seemingly delicate quantum processes. However, evidence has now shown warm quantum coherence in plant photosynthesis, bird brain navigation, our sense of smell, and brain microtubules. The recent discovery of warm-temperature quantum vibrations in microtubules inside brain neurons by the research group led by Anirban Bandyopadhyay, PhD, at the National Institute of Material Sciences in Tsukuba, Japan (and now at MIT), corroborates the pair’s theory and suggests that EEG rhythms also derive from deeper level microtubule vibrations. In addition, work from the laboratory of Roderick G. Eckenhoff, MD, at the University of Pennsylvania, suggests that anesthesia, which selectively erases consciousness while sparing non-conscious brain activities, acts via microtubules in brain neurons. “The origin of consciousness reflects our place in the universe, the nature of our existence. Did consciousness evolve from complex computations among brain neurons, as most scientists assert? Or has consciousness, in some sense, been here all along, as spiritual approaches maintain?” ask Hameroff and Penrose in the current review. An important new facet of the theory is introduced. Microtubule quantum vibrations (e.g. in the megahertz frequency range) appear to interfere and produce much slower EEG “beat frequencies.” Despite a century of clinical use, the underlying origins of EEG rhythms have remained a mystery. Clinical trials of brief brain stimulation — aimed at microtubule resonances with megahertz mechanical vibrations using transcranial ultrasound — have shown reported improvements in mood, and may prove useful against Alzheimer’s disease and brain injury in the future. Penrose, Hameroff and Bandyopadhyay will explore their theories during a session on “Microtubules and the Big Consciousness Debate” at the Brainstorm Sessions, a public three-day event at the Brakke Grond in Amsterdam, the Netherlands, January 16-18, 2014. They will engage skeptics in a debate on the nature of consciousness, and Bandyopadhyay and his team will couple microtubule vibrations from active neurons to play Indian musical instruments. “Consciousness depends on anharmonic vibrations of microtubules inside neurons, similar to certain kinds of Indian music, but unlike Western music, which is harmonic,” Hameroff explains. The nature of consciousness, the mechanism by which it occurs in the brain, and its ultimate place in the universe are unknown. We proposed in the mid 1990ʼs that consciousness depends on biologically ‘orchestrated’ coherent quantum processes in collections of microtubules within brain neurons, that these quantum processes correlate with, and regulate, neuronal synaptic and membrane activity, and that the continuous Schrödinger evolution of each such process terminates in accordance with the specific Diósi–Penrose (DP) scheme of ‘objective reduction’ (‘OR’) of the quantum state. This orchestrated OR activity (‘Orch OR’) is taken to result in moments of conscious awareness and/or choice. The DP form of OR is related to the fundamentals of quantum mechanics and space–time geometry, so Orch OR suggests that there is a connection between the brainʼs biomolecular processes and the basic structure of the universe. Here we review Orch OR in light of criticisms and developments in quantum biology, neuroscience, physics and cosmology. We also introduce a novel suggestion of ‘beat frequencies’ of faster microtubule vibrations as a possible source of the observed electro-encephalographic (‘EEG’) correlates of consciousness. We conclude that consciousness plays an intrinsic role in the universe.